Strawberry Cake - Strawberry cake layered between real strawberry buttercream and fresh strawberries. Nutella Cake - Moist chocolate cake layered with Nutella buttercream icing and Nutella spread. Carrot Cake - Lightly spiced carrot cake with walnuts layered with cream cheese icing. Vanilla Cake - Traditional vanilla cake layered with vanilla buttercream, decorated with vermicelli sprinkles. Salted Caramel Cake - Chocolate cake layered with salted caramel buttercream, drizzled with caramel and sea salt. Red Velvet Cake - Traditional red velvet cake with cream cheese icing. 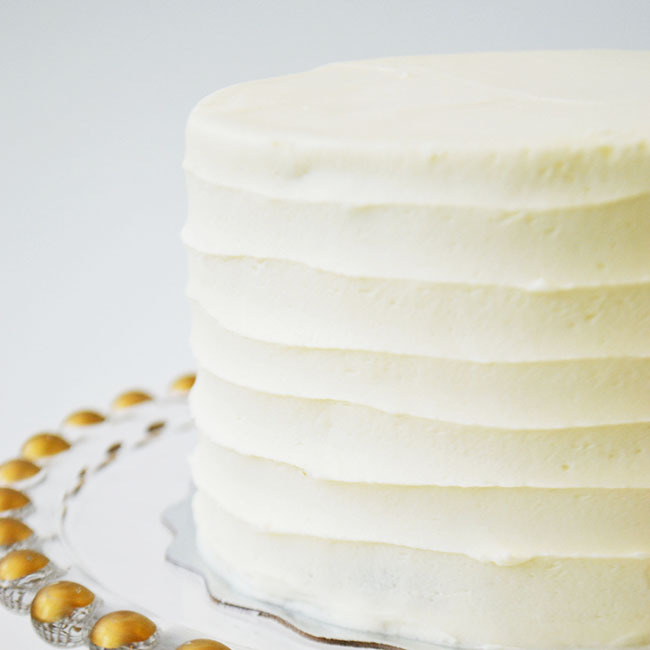 Lemon Cake - Three layers of dense vanilla cake filled with lemon curd and lemon buttercream. Chocolate Cake - Moist chocolate cake layered with rich chocolate buttercream icing. Chocolate Vanilla Cake - Moist chocolate cake layered with vanilla buttercream icing. Bake Sale creates our cakes in nine luscious flavours - as pretty as they are delicious! Available in 3 sizes they're perfect as a birthday cake, anniversary cake, shower cake, graduation cake or even the most delicious wedding cake! Drop by one of our stores and celebrate your special event with our beautiful cakes!